Cheryl Spelts comes from a long line of strong women and accomplished artists. Her family includes musicians, a published writer, a painter, a designer and even a torch singer in the twenties. 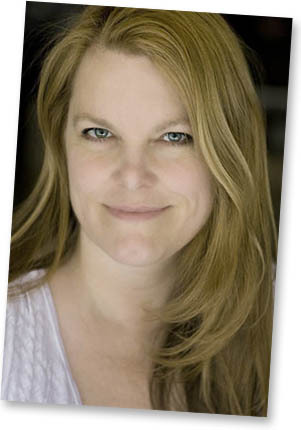 She started out as an actress, and was briefly part of a professional theatre company, PCPA Theatrefest. She also studied film acting with various teachers in Los Angeles, before deciding to follow a new muse. Her play, Passion Baby Passion, was written while she attended San Diego State University, and her writing has been featured in local newspapers. In 1995 she began to study photography and quickly found a niche photographing actors, models and musicians, as well as fine art. Her work won blue ribbons at the Del Mar Fair two years in a row, and her print titled “Glow” is a part of the permanent collection of the Fallbrook Art & Cultural Center. Additionally her work has appeared in the New York Times, San Diego Magazine, Gig Magazine, North County Times, Fallbrook Sourcebook, Michigan Avenue Magazine, and Chicago Sun Times. In 1998 she earned a certificate in Multimedia Development from the University of Southern California. In 2013 she earned a certificate in Paralegal Studies from University of California, Los Angeles. And in 2017 she earned her Juris Doctorate from Trinity Law School. Some of the web sites she’s developed include ROCKBAND.COM, Cesjacuzzi and in a tribute to her grandfather’s famous cousin, The Ruth Etting Web Site. Cheryl is a fifth-generation California native, was born in San Diego, considers Fallbrook her hometown, and currently resides in Del Norte County, in Northern California.